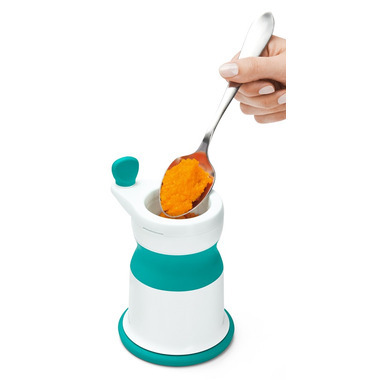 OXO Tot Mash Maker Baby Food Mill easily turns grown-up food into a meal for your little one. 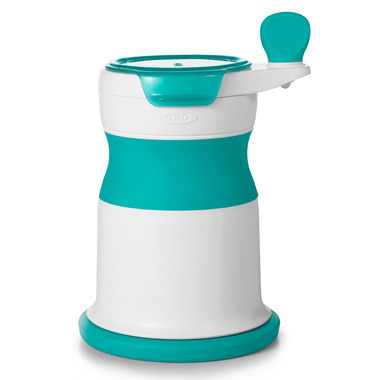 Conveniently shaped to allow for quick filling and adding liquid to control thickness, the Mash Maker is designed to maximize ease. A non-skid base provides stability while mixing, and also catches excess liquid to minimize messes. 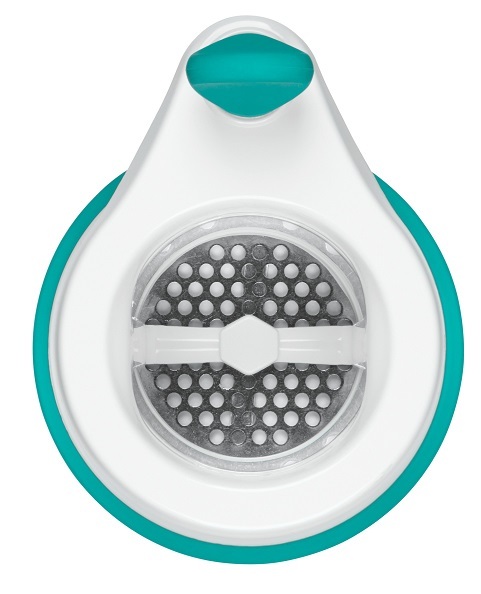 The wide mouth lets you scoop and serve pureed food from the top without disassembling the Mash Maker.